Are You Struggling with Your Creative Endeavors? Is the Creative Process More Painful than Pleasurable? 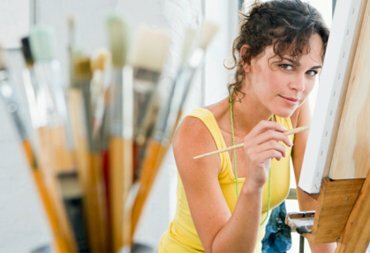 No matter what your artistic medium, the life of an artist or performer can be one of the most rewarding and exciting career paths. Unfortunately, it can also be one of the most painful and frustrating as well. The seemingly inherent symptoms of the artist’s path—pain, fear, anxiety and negative self-talk—can often permeate every step of the creative process. These emotions present insurmountable roadblocks that not only prevent you from enjoying the creative experience but block you from completing your projects. You can’t seem to produce the quality or volume of work that you would like, you procrastinate, feel your creativity is compromised, blocked or worse, you avoid your art altogether. If you are not getting the results you desire or you experience pain and frustration rather than excitement and inspiration, you don’t need to struggle. There is something you can do. You can take control of your creative process. I will uncover the hidden sources stifling your creativity and causing you pain. You will develop the skills and capacity to fuel your inspiration and productivity. You will learn how to activate your creativity so you can create fearlessly with inspiration and abandon. By working closely and compassionately with those parts that are holding back your creative potential, you can release those messages or blocks to your creativity and performance. Further, this process will also help resolve past challenges and deep seeded issues that impact your ability to enjoy the full expression of your talent and abilities. As an award-winning filmmaker, I use a very integrative approach in my counselling practice. I work closely with you to allow your mind to heal these challenges, as memories are brought to a more adaptive resolution. I have found that if you are open to this process past experiences and traumas that previously inhibited creative activities are transformed. The blocks that impeded your creativity are healed and released. Activate your creativity and live fearlessly with inspiration and abandon. You are worth this investment. It is natural to experience anxiety when creating or performing. All of us worry about expectations, quality, outcome and the unknown. However, anxiety becomes a problem when it interferes with your productivity, your work, how you feel and your creative experience. Ignoring or will power does not solve the problem. It may alleviate the symptoms temporarily but if you don’t learn the cause and gain the tools to deal with the source of your anxiety it will get worse causing increasing turmoil in your life, work and health. Ultimately, you will struggle to experience the creative freedom and outcomes you desire. I often hear my clients express feelings of inadequacy, helplessness and confusion in relation to their creative work. Some feel stupid, shame, worthless, hopeless, angry, or paralyzed by fear or anxiety. Others are desperately seeking external validation or permission to be an artist. And I have some clients who feel empty, lack motivation, inspiration or they can’t seem to find the time or space to create “real work”. These thoughts and emotions are painful and paralyze you and your creative process. Worse, they can be so integrated into your identity that you believe it is the truth about who you are. However, they are NOT the truth about who you are or your capabilities as an artist and creator. Unfortunately, if left unresolved, they will continue to plague and inhibit not only your creative process but your entire life experience. These negative thoughts and emotions are simply evidence that the Inner Critic at play, attacking you with negative messages about your self-wroth and abilities. And, sad truth is that this internal negative self-talk demeans you, makes you feel bad about yourself, undermines your potential and kills your creativity. You can find free yourself from these limiting emotions, beliefs and blocks. The reality is that this Inner Critic exists for a reason. However, it is running amuck like a runaway train without an engineer. But you can take control of your incredible potential in a few practical steps, first by understanding the cause, source and purpose of the Inner Critic and then learning how to turn off this voice and repurpose this energy.